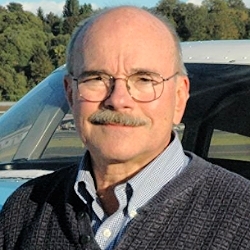 Howard William Wolvington of Issaquah, Washington, has been named the 2014 National Certificated Flight Instructor of the Year. Howard works as an independent CFI with the Boeing Employees Flying Association (BEFA) at the Renton, Washington airport, and with his private clients at airports in the Seattle, Washington area. BEFA is one of the largest flying associations in the U.S. with more than 500 members, 19 airplanes, and 25 CFIs. 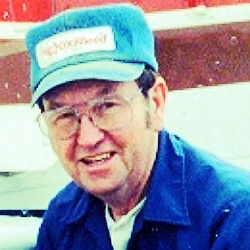 Howard previously served as the Operations Officer and President of the organization. As the senior CFI at BEFA, his clients range from student pilots taking their first flights to Captains that fly for major airlines. Aircraft have included single and multiengine airplanes, a seaplane and a full motion flight simulator. Howard holds an ATP certificate and has more than 13,000 hours of flight time. As a Gold Seal CFI with Instrument and Multiengine ratings he has given more than 10,000 hours of flight instruction and 8,000 hours of ground instruction. Howard completed his undergraduate education at Coe College in 1967 with degrees in Mathematics and Physics. He was awarded a National Education Act fellowship for a PhD in Computer Science at the University of Iowa and after completion of the Master of Science degree in 1969 he accepted a direct commission as a U.S. Army officer. He was assigned to the Department of Defense Computer Institute (DODCI) in Washington, D.C. where his teaching passion was put to use instructing General Officers and civilian executives. After military service, his first career was in Information technology and he held management positions for the Potomac Electric Power Company in Washington D.C., and then for The Boeing Company. He retired from Boeing in 2000 to commence a second career as a full time CFI. Howard’s IT background complements his aviation passion, and he instructs extensively and provides Professional Pilot Services in Technically Advanced Aircraft for his clients. He completed the CIRRUS Standardized Instructor Program and is approved by insurance underwriters for initial and recurrent training in Piper Malibu aircraft. Howard has owned a 1959 Piper Comanche 250 since 1999. Business trips have included multiple cross country trips to the AOPA Expo/Summit, held in locations on both coasts. In 2005, Howard won the AOPA “Longest Cross Country” award for his travel in a General Aviation airplane to Tampa, Florida, a great circle one way distance of 2,193 nm. Reports of many of these trips, demonstrating the value of General Aviation, and serving as teaching points for his instruction with clients, are included on the BEFA web site. Howard became a charter member of the City of Renton Aircraft Airport Advisory Committee (RAAC) formed in 2001 to deal with the issue of noise and its impact on residents of Renton living close to the airport. Using his background in physics and “fly friendly” information from AOPA, Howard developed and implemented noise abatement procedures for BEFA. These procedures were demonstrated on flights to City Council members, airport management, and RAAC members, and were later adopted by the airport as general procedures for the airport itself. The FAA issued the first WAAS LPV approach in 2006, and Howard was an early adopter of the technology for his Comanche. As noise on the non-precision approach paths to Renton continued to be an issue for residents of Mercer Island living under the approaches, Howard worked with the FAA to implement a higher 4.2 degree glidepath precision WAAS approach which also improved approach minimums for pilots. Howard also requested from the FAA Standard Instrument Departures for the Renton airport to decrease pilot and controller workload, and these were developed and published with the Renton WAAS LPV approach. Howard is a FAASTeam Representative and recent presentations have been on topics such as Flying to Canada and iPad for the Pilot. Max Lloyd Burnette of Rockvale, Tennessee has been named the 2014 National Aviation Maintenance Technician of the Year. Max is semi-retired after 59 years in aircraft maintenance and 29 years as an A&P Mechanic. As a small boy in a share croppers cotton field in North Carolina, Max was fascinated with every airplane that flew overhead. When Max was six years old, a man landed his J-3 in his fresh-cut hay field and wanted to use it to hop passengers that weekend. Max’s dad gave him the okay provided he would take his son Max up. Max was hooked for life. At age 17 in May 1954 while still in high school, Max joined the North Carolina Air National Guard. Two years later, after graduation, he volunteered to go to Amarillo AFB, Texas for 15 weeks of mechanic’s training at what the Air Force then called “A&E school.” He was hired as a full-time technician with the Guard’s fighter squadron at Morris Field in Charlotte, North Carolina (now Charlotte Douglas International Airport) working on F-86 Sabre jets. In early 1961, Max transferred to the Tennessee Air Guard unit at Knoxville, Tennessee to work on the Lockheed F-104 Starfighter. He remained with that unit for almost 20 years, and worked on the F-104, F-102, T-33, U-3A, KC-97 and KC-135. In addition to performing maintenance, he logged 4,000 hours as Flight Engineer aboard the KC-97. One last transfer in Max’s military career brought him to Nashville, Tennessee to become a crew chief and later a flight line supervisor for a section of C-130 aircraft. Max began flying as a hobby in late 1956 and remains an active pilot. He soloed in a J-3 Cub and has owned a Cessna 170, a Taylorcraft BC-12D, a Piper PA-18 Super Cub and currently own a PA-22 Tri-Pacer that he completely rebuilt and converted to taildragger configuration. In 1986, a few years before retiring from the Tennessee Air Guard, Max obtained his civilian A&P certificate, and immediately dove into civil aviation under the watchful eye of his mentor Delmer Chapman, an IA and Desegnated Mechanic Examiner. With his wife Jean, Max started M&J Aero, a repair and inspection service in at Gibson Field in Rockvale, TN, which became their full-time careers in 1992 after Max retired from the military. M&J Aero’s focus was on restorations, repair and inspections of taildraggers. In 2011, M&J reverted once again to a part-time operation when Max became full-time music director of his church. M&J Aero is now officially closed, but continue to do occasional inspections for long time friends and customers. In their semi-retirement, Max and Jean are currently doing a complete restoration of a 1941 Piper J-5 Cub Cruiser. Max enjoys a great working relationship with the Nashville FSDO, who provided outstanding support to him in getting a retired Fairchild PT-26 Cornell restored and recertified. Max has been an active member of EAA and AOPA since 1986, and actively participates his local EAA Chapter 1326 (Shelbyville TN) and as a volunteer pilot in the EAA Young Eagles program. He writes for the monthly EAA Chapter newsletter, and has given hands-on demonstrations at maintenance clinics. His goal is to give back to aviation what good friends and old airplanes have given him over the years. TaildraggerDr@att.net. David Brian Kocak of Guilford, Connecticut has been named National Avionics Technician of the Year. David serves as Avionics Service Manager, Installation Manager and Inspector at V.I.P. Avionics at Hartford-Brainard Airport (KHFD), where has has been employed for the past 16 years. He holds a Repairman’s Certificate with inspection authority and Federal Communications Commission General Radio Telephone Operator license. David trained at Pratt-Sikorsky School of Aviation and Allied Signal Avionics, and has over 20 years of avionics maintenance and repair experience.David also works closely with VIP’s aircraft maintenance department to offer the company’s customer base one-stop shopping. 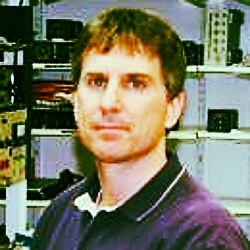 David’s daily responsibilities include scheduling avionics service and installation appointments, troubleshooting avionics bench and aircraft repairs; engineering and supervising avionics installs.David is recognized by customers, colleagues, competitors and manufacturers most especially for his troubleshooting skills.Throughout his career he has been able to troubleshoot, analyze and resolve some of the avionics world’s trickiest problems. He plays an important role in training fellow VIP employees on a variety of technical issues.David has the rare skill of coordinating all aspects of a customer’s needs from bench work repair, avionics installations, instrument sales, and service and aircraft maintenance. David will tell you there’s no “typical” or “average” day at VIP and that’s what he loves. One day he might be doing an avionics inspection for a medical helicopter, troubleshooting a traffic reporter’s audio panel, and completing paperwork and going on a test flight for a twin-engine major installation. Another day he might be responding to issues from flight school airplanes, and solving a tricky autopilot problem. David has also been cited for his excellence in customer service. It starts with asking the “right” questions to understand a customer’s issue, it continues as he keeps customers updated throughout the service process and finishes with showing the customer what repairs/service were done and why. Customers appreciate David’s clear and thorough explanations. dkocak@vipavionics.com. 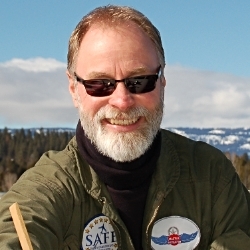 Richard Loren Stowell, Jr. of McCall, Idaho has been named as National FAA Safety Team Representative of the Year. Rich has been a full-time aviation educator specializing in spin, emergency maneuver, and aerobatic training since 1987. 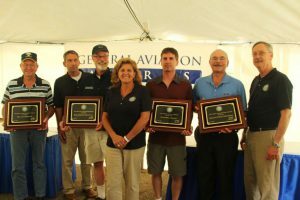 Rich was honored in 2006 as National CFI of the Year, and this award makes him one of a tiny handful of two-time National GA Award recipients. Rich earned a Bachelor’s degree in Mechanical Engineering from Rensselaer Polytechnic Institute. He is an eight-time Master CFI and a Commercial Pilot with ASEL, ASES and Instrument ratings. Rich owns and operates Rich Stowell Consulting, and is an independent flight instructor, author, and speaker. Rich specializes in spin, emergency maneuver, aerobatic, and tailwheel transition training. He is a recognized subject matter expert in loss of control. Rich has given more than 8,700 hours of flight instruction and performed more than 33,400 spins in 215 spins-approved aircraft. He has conducted training clinics and seminars in 27 States and four foreign countries. After twenty-five years at Santa Paula Airport (KSZP) in Santa Paula, California, Rich’s home base is now Cascade Airport (U70) in Cascade, Idaho. An average day for Rich might involve performing 30 spins with natural resource pilots, followed by giving an evening safety seminar, completing an aviation article, producing an educational YouTube video, or creating a PowerPoint presentation. Rich has been a FAASTeam Representative (formerly, Aviation Safety Counselor) for 23 years and a Certificated Flight Instructor for 26 years. He has conducted more than 300 safety seminars and webinars, averaging one a month every month for the past 26 years. Rich has been a member of AOPA, EAA, and the International Aerobatic Club (IAC) for 30 years, and is a Charter Member of the Society of Aviation and Flight Educators (SAFE). He has served as President of IAC Chapter 49 and Secretary of the IAC. He is one of only 165 pilots to earn the IAC “All Five” Aerobatic Achievement Award. He has served as a guest judge for The Ninety-Nines Awards Program and judge for the National CFI of the Year award. Rich currently serves on the Board of Review for the Master Instructor Continuing Education Program. Rich has had more than 80 articles appear in numerous aviation publications. He served as lead scriptwriter for three FAA “Safer Skies” videos, co-scripted the 2012 FAA Safety Standdown on loss of control, and scripted and hosted four educational programs of his own. He has also authored three aviation textbooks. rich@richstowell.com.